Alice Thomas manages the Climate Displacement Program at Refugees International (RI). Launched in 2010, the program seeks to increase understanding of the impact of extreme climate-related events on displacement and advocates to governments, donors and the UN for improved policy, legal and institutional responses. Thomas has conducted independent assessments of the protection needs of those displaced by the 2010 Pakistan Floods, the 2012 Sahel Food Crisis, and Typhoon Haiyan in the Philippines. 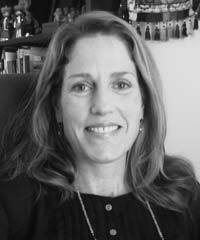 She has over 20 years of experience working environmental law, policy and good governance in both the private and non-profit sectors including as an attorney in the International Program at Earthjustice (formerly Sierra Club Legal Defense Fund), as the Deputy Director of the American Bar Association’s Asia Law Initiative, and in the environmental practice group at Arnold & Porter.